Thank you for visiting our blog. We prepare for a variety of information about The Offshore Korea 2012. 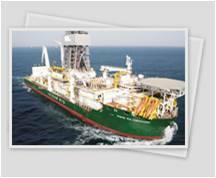 In this post, we are providing you with the overview of The Offshore Korea 2012. When it comes to organizers and sponsors, the Korean government and many companies participate in this event. What's more, The Offshore Korea 2012 is chiefly hosted by The ministry of Knowledge Economy and the Ministry of Land, Transport and Maritime Affairs. Simultaneously, many public enterprises organize and sponsor for this exhibition and Hyundai Heavy Industries Co., Ltd., Samsung Heavy Industries Co., Ltd., Daewoo Shipbuilding & Marine Engineering Co., Ltd., and STX Offshore & Shipbuilding Co. Ltd. join as special sponsorship. The European Marine Equipment Council support The Offshore Korea 2012.